Earthquake Sound is proud to bring to you the new DJ-Quake P12. 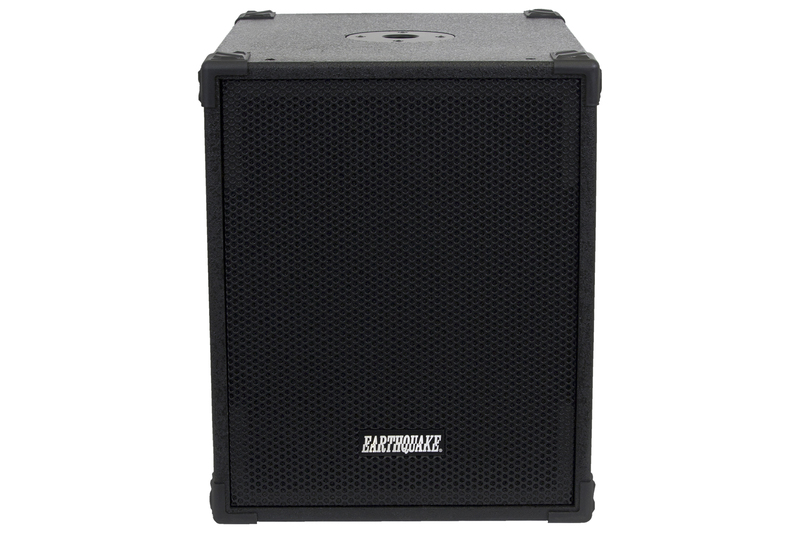 This is a 1000 watts passive 12” subwoofer to add more punch to your existing DJ-Quake 2.1 v2 system. It is an excellent choice for the DJ on the go as well as audiophiles. This subwoofer is extremely portable and weighs in at just under 38 pounds. With carrying handles and corner bumpers built into the box; a DJ will easily be able to tote the P12 around from venue to venue. It features Speakon input/output, TRS, and speaker level inputs. The P12 is a great addition to the DJ-Quake 2.1 v2 or any DJ setup. With the P12 alongside the DJ-Quake 2.1 v2 system; it will give the user the ability to scale their system no matter what size the venue may be. When you need to double up on your bass, the P12 will deliver and keep the party going.